Am I Really Ready for Greater Love? 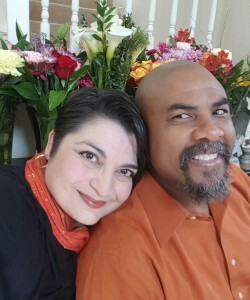 As my husband and I recently celebrated our 23rd anniversary, I reflected on how my definition of love has changed over the years we’ve been married. When I first met Alan, I measured love by hugs and kind words and deeds. I believed he loved me when he met my needs, when he gave me my way, when he made me feel happy, safe, appreciated, and important. The Father, the first Person in the Trinity, loves completely, generously, unconditionally, and eternally. Jesus, the second Person in the Trinity, loves like the Father. The Holy Spirit, the third Person in the Trinity, helps us love like Jesus, like the Father. The concept of such love seems too vast and complex to even begin understanding, a goal too lofty for a flawed human being to attain. But Jesus claims it’s possible if we remain in His love. Because we’ve been given the Holy Spirit, it’s possible to abide in Christ, to spend time with Him, to stay so close that our hearts are grafted to His. This lifetime process of intimate communion with the Lord changes us a little bit at a time. We become more like the One who loves us perfectly, as He transforms our thinking and changes our hearts so that we can respond to Him, and to others, in Christ-like love. The more I received Jesus’s limitless love for me, the more my love morphed from selfish to selfless in my relationship with God, in my marriage, and in my relationships with others. This is an ongoing process that’s often thwarted by my sin nature, which feeds my fleshly desires to put myself first. But Jesus asks His followers to love one another as He loves us . . . to love selflessly, willingly, sacrificially, and unconditionally (v. 12). That can feel impossible, especially when it comes to loving those who have hurt us, those who have rejected us, and those who persecute us. When I struggle with showing “greater love,” I ask God to remind me of Christ on the cross. When we truly consider how much Jesus loves us, so much that He gave His life for us, so much that He endured the shame of the cross, the ruthless and relentless persecution, rejection, abuse, and pain . . . it’s harder to be selfish. Jesus reminds us we are loved sacrificially and intimately (v. 14). We are called God’s friends (v. 15). We are chosen (v. 16). Being loved in such a way changes us . . . changes everything. When we truly consider what Christ gave up, how He suffered physically and emotionally, especially when He willingly allowed Himself to be excruciatingly though momentarily separated from the Father when He took on our sins and took our place on the cross . . . how can we not respond with grateful praise as we rejoice in the life-changing power of greater love? But greater love is risky. Others may not love us back selflessly. Others may take advantage of us, hurt us, and leave us wounded by their selfishness. They may demand their needs met. They may fight for their way. They may place personal happiness above all else. I can’t even count the times I’ve accepted the Lord’s greater love, but still responded by demanding my needs be met, fighting for my way, placing my personal happiness above all else. But because of His greater love for us, God risks His heart for us every day. When we first got married, my husband and I weren’t even close to ready for greater love. We loved one another selfishly. We wrestled for the right to be first. We competed to see whose needs were going to get met more often, to see who would get their way more often, to see who would get to be happier, even at the detriment of the other person. We wasted many years getting all we could from one another that we failed to see the value of giving all we could to one another. Wising up, by God’s grace and in His mercy and power, we finally decided to submit to the Lord, and to one another, out of reverence for Christ, and longed to love like Jesus. As we deepened our relationships with God and each other, He helped us to devote ourselves to greater love, to love selflessly, to give instead of demanding we get, to serve instead of scrounging for selfish gains. By the power of the Holy Spirit, I began putting God and my husband first, serving the Lord and serving my spouse cheerfully as I gave generously. I don’t always get it right, neither does my husband. But God’s showing us the rewards of obedience (v. 14): fruit that lasts (v. 16). Fruit . . . the bounty that results when we’re committed to loving like Jesus, giving like Jesus, and serving like Jesus. God knows our joy will be complete, our peace will be unshakeable, and our faith will be secured when we love Him by obeying Him. Jesus laid His life down for us, showing us how to enjoy greater love by laying our lives down for others. Greater love requires sacrifice, knowing God is the only One who can truly meet our needs because people are fallible and will always fall short. Greater love requires faith, trusting God’s way is better than our way. Greater love leads to joy, which is so much better than happiness because it’s not contingent on ever-changing circumstances or the fickleness of feelings. Greater love changed my marriage and continues to change my husband and me. Greater love−that Jesus kind of love−saved me. The commitment to greater love is costly, but the rewards are remarkable and reciprocal. Thank You for loving us and empowering us to love You and others selflessly, Lord. Please help us place You first, abide in You always, and trust You completely. Give us the wisdom and courage to submit to Your way, surrender to Your will, and celebrate Your greater love, as we live for You−Jesus−the One who gave all for us. In Jesus’s name, Amen. 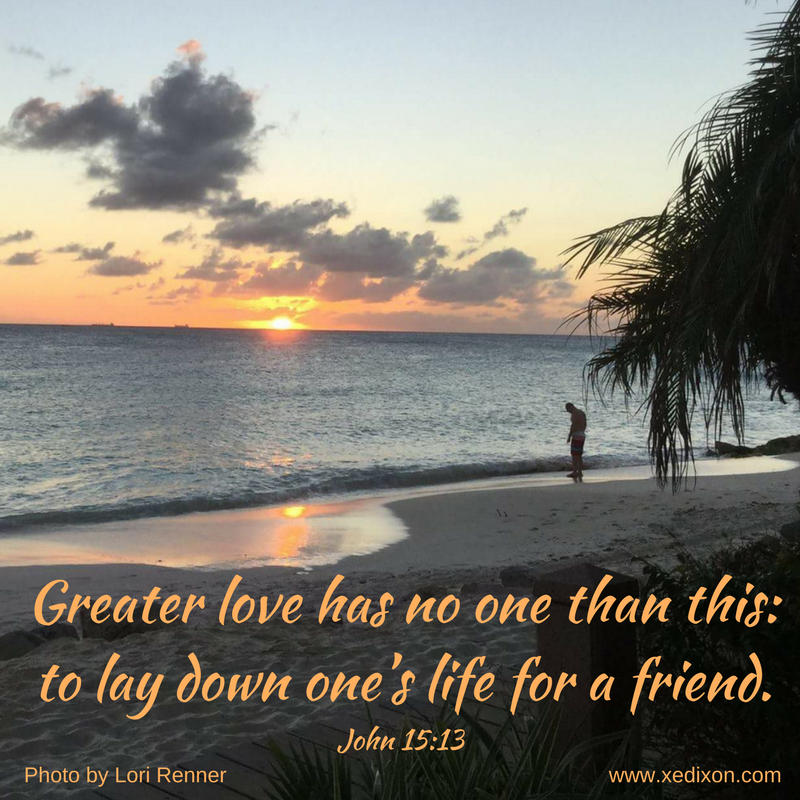 Are you really ready for greater love? Photo for meme taken by and used with permission from Lori Renner. All-knowing and all-loving Father, thank You for assuring us that You are and always will be the one and only Perfect Planner. No matter what changes we might face in life, we can be certain that every detail has been sifted through Your loving grace and purposed for Your glory. You’ve placed flagstones before us, paving the way through every victory and every trial, so that we can be equipped for the plans You’ve designated for us. Exalted One, adoring and faithful, Almighty God, thank You for demonstrating Your sovereign goodness through Your wonderful works (Isaiah 25:1). You deserve our honor and reverence, Protector, Provider, and Lover of the needy (vv. 3-6). You’ve made us victorious in light of Your love, defeating death, destroying despair and disgrace (vv. 7-8). Though there are times when sorrow will overcome us, You gently wipe away our tears, compassionate and good Shepherd. We can trust You, because You loved us so much that You saved us (v. 9). Even when we didn’t know we were lost, when we didn’t know we were hopeless, when we didn’t know what we were missing, You loved us and remained steadfast. Thank You, Lord, for never giving up on us, even when we rejected You, doubted You, and fought You tooth and nail. Please break down the walls of our pride, so we can discover the freedom of total surrender, the beautiful joy and peace found in placing You before our wants and above ourselves. As we seek to know You more, please secure our faith in Your faithfulness. No matter how hard the road is, no matter how high the mountains seem, or how wide the rough-terrain of the valleys, we can trust You’ve planned and purposed every twist and turn to make us more like You. Oh, why do we doubt You, loving Savior? Forgive us for our unbelief, as You help us walk with fierce faith. We praise You, the one and only Perfect Planner, who was and is and always will be the same yesterday and today and forever−Christ, our Lord. Why Should I Love God When Life Doesn’t Go According to My Plan? I’ve amassed plenty of bumps and bruises as I sloshed through swamps of discouragement, regained my footing after whiplashing U-Turns, and navigated unplanned treks over rocky roads in the wilderness. 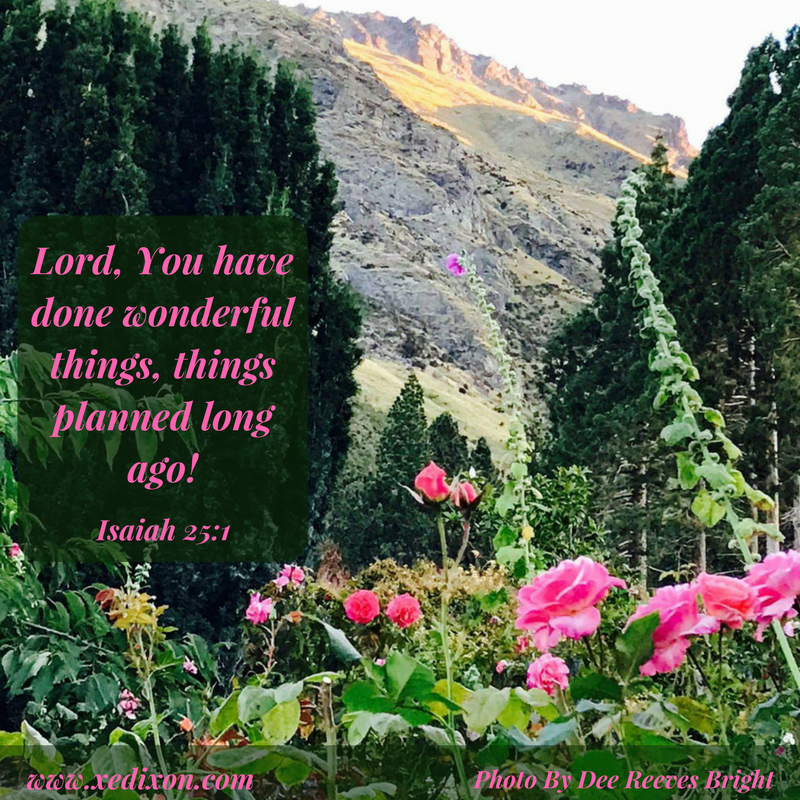 I’ve been side-lined, for what felt like forever, while learning to trust God to pick apart my well-thought-out plans and execute His perfect will, despite my complaints. After overcompensating to nurse my original injury in 1992, I’d caused the extensive damage that led to my first surgery in 2012. I haven’t always enjoyed my current wild ride of faith toward healing or adjusted gracefully to life dealing with chronic pain. And this definitely isn’t the first time in my life God used a delay or redirection to reveal my not-so-godly attitudes, mold my character to reflect more of His, and deepen the roots of my faith so I could blossom wherever He planted . . . or replanted me. Change and seasons of suffering lead to love-drenched opportunities to demonstrate our trust in the Lord with our actions and attitudes, not just our words. Shifts in our relationships, job status, living arrangements, or our physical, emotional, mental, or spiritual health can trigger a gamut of emotions, but present us with only two options: Trust God, or don’t trust God. Of course we’ll need to accept the ongoing process of working through our ever-changing feelings, which are valid and expected. We may even need to embrace a few melt-down-moments when God’s grace is all we can depend on. But the two choices remain the same. When we don’t trust the Lord, we’ll battle discontent, compare ourselves to others, and hoard resources and opportunities for fear of going without or having someone else receive what we think we deserve. Fragile-Faith forces us to rely on people more than God. It’s tempting to surround ourselves with those who don’t expect much from us, who never challenge us to grow, or who accept our neediness because they need to feel needed. It’s easier to place our hope in man, which causes us to fall prey to insecurities, indecisiveness, and even demanding our way, often passive aggressively. We may not like to admit it, but most of us have been there. I know I have. But, when we choose to trust God, and ask for His help, we’ll be able to loosen the grip on our plans and encounter contentment while submitting to His purpose. Living the abundant life Christ requires Spirit-empowered suppleness and selflessness, which goes against the grain of our sin nature. But when we prioritize God’s purpose in our lives, the desires of our hearts transform from self-serving to selfless service. We’ll be better prepared to embrace all the Lord has planned because our arms won’t be loaded with things He’s asked us to release. Living in the freedom of surrender to God doesn’t lead to a pain-free journey. I’ve learned that the hard way. Yet, bending to God’s will guarantees a peace-filled present that abounds with the fruit of the Spirit. One of the most beautiful pictures of a surrendered life trusting God is found in Genesis. In his immaturity, seventeen year old Joseph confidently received God’s plan for his life. 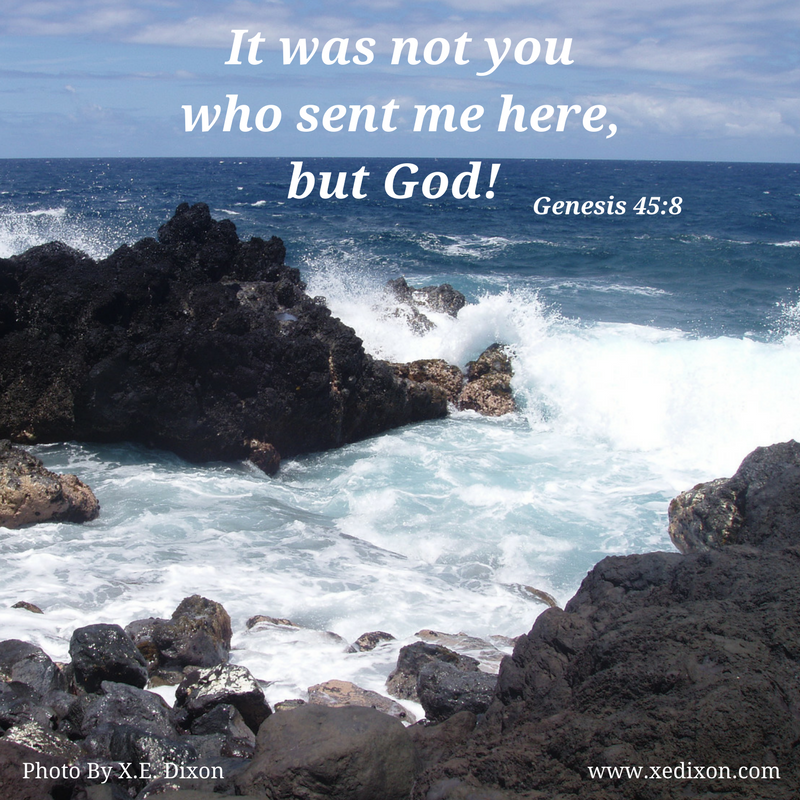 Unfortunately, he made himself the star of the show and caused division in his family relationships (Genesis 37:1-11). He suffered the consequences as sin clawed its way into the hearts of his brothers, divided the family tent with a blanket of deception, and caused his father immense grief (Genesis 37:12-36). When faced with the temptation that comes with power, Joseph could have forced his way. Instead, he chose to trust God with loving obedience and acknowledged his sin as a direct attack on the Lord (Genesis 39:1-9). With injustice, damaged relationships, bad breaks, and suffering trailing behind him, Joseph’s actions and attitudes reflected the Lord as the One who reigned in his life (Genesis 39:10-44:33). As he revealed his identity to his brothers, Joseph acknowledged God’s fingerprints on every detail of his life. He rejoiced in how the Lord’s purposes prevailed for the good of all God’s people, no matter how much suffering he endured personally (Genesis 45:1-8). God’s path for Joseph may not have been easy, but the Lord blessed him in ways he could have never dreamed possible. 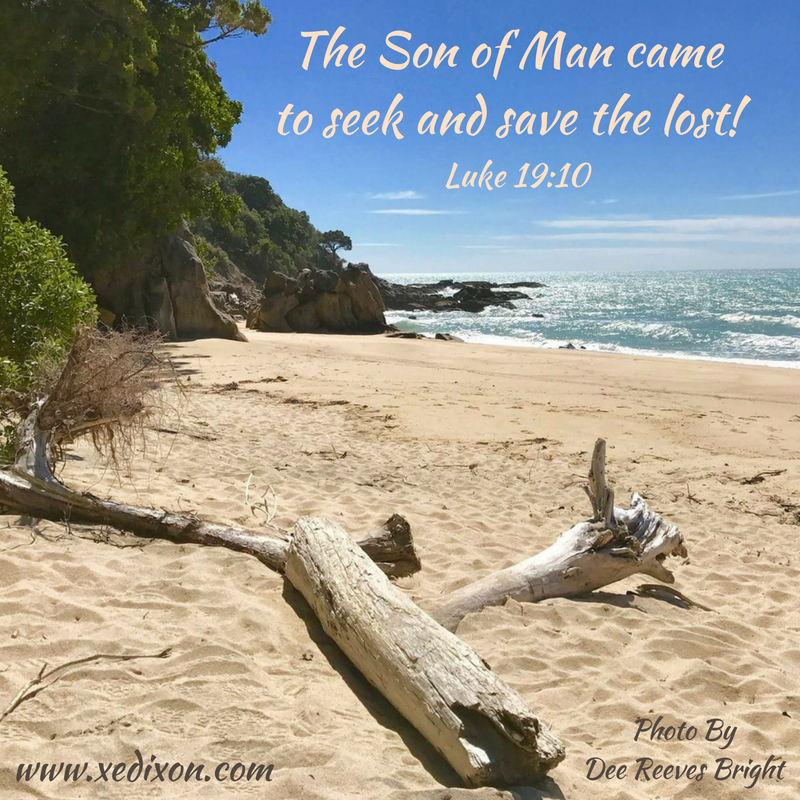 His legacy of faith encourages us to welcome change and longsuffering, appreciating the shifting sands that God uses to strengthen our faith-muscles. Though pain, suffering, grief, disappointment, discouragement, and discontent are not fun, each can become a solid stitch in the fabric of our faith that proves God’s enduring faithfulness. Why should we love God when we’re affected by changes beyond our control, when doing the right thing leads to pain or suffering, and when life just doesn’t go as we plan? Because every detail of God’s plan is rooted in and supported by His unconditional love. With vision that surpasses time, the Good Shepherd provides lifelong care for His beloved sheep. The Lord works in and through the lives of all who love Him, because His world revolves around Him . . . not us. When we love God wholeheartedly, we’ll want nothing more than to please Him above ourselves, to see His plans prevail . . . even at the cost of our plans. 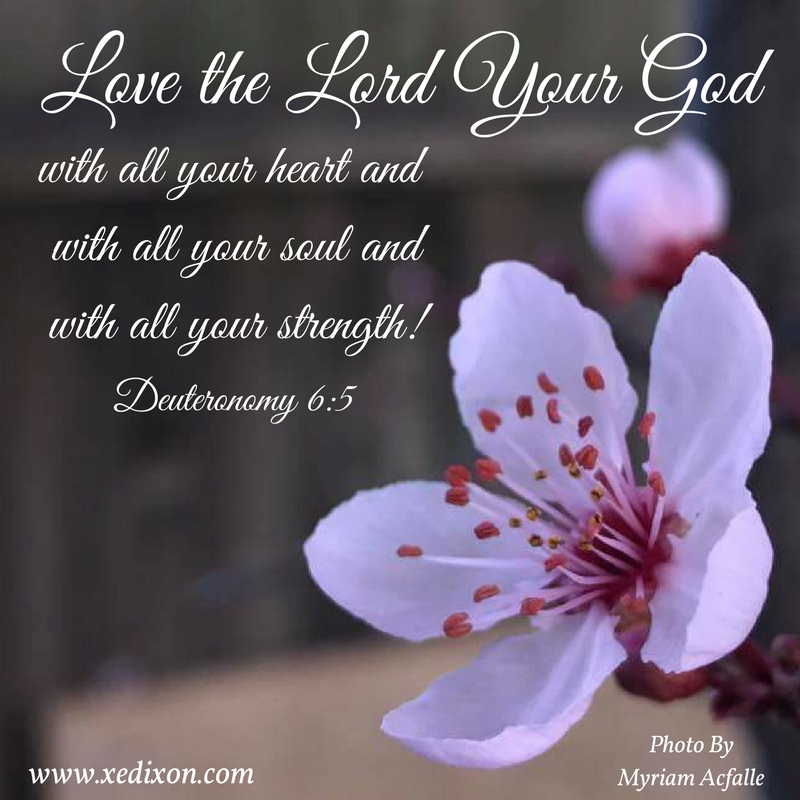 Loving God with All We’ve Got! Lord, You are good. You are loving. You are kind. You are Almighty King, Good Shepherd, and Wise Counselor. Thanks for Your commands, the wonderful boundaries of love You’ve established to protect us and guide us straight toward the center of Your will (vv. 1-3). You are One, the One True God−Father, Son, and Holy Spirit−blessed Trinity (v. 4). Please help us praise You and serve You with a heart-deep-love that chooses You first and places You above everything and everyone else. Help us worship You with a soul-deep-love that reaches beyond the things of this world. As we walk by faith, please help us remember You are the unchanging One who has ordained our every step, every breath, every moment of this wonderful life You’ve entrusted to us. Please help us live in obedience to Your Holy Word by the power and strength of Your Holy Spirit. Give us opportunities to share Your truth and love wherever You place us. Empower us to stand firm on the faithfulness of who You are, who You were, who You always have been, and who You always will be (v. 5-12). You are the only True God, the only One who can satisfy us, the only One who can know us completely, the only One who can enable us to love You by living for You (v. 13-25). Help us live in the power and freedom and hope of remembering who You are, what You’ve done, and what You’ve promised. Your eternally-ordained passionate love for us ignites our love for You, Lord Almighty. We love You with all we’ve got.